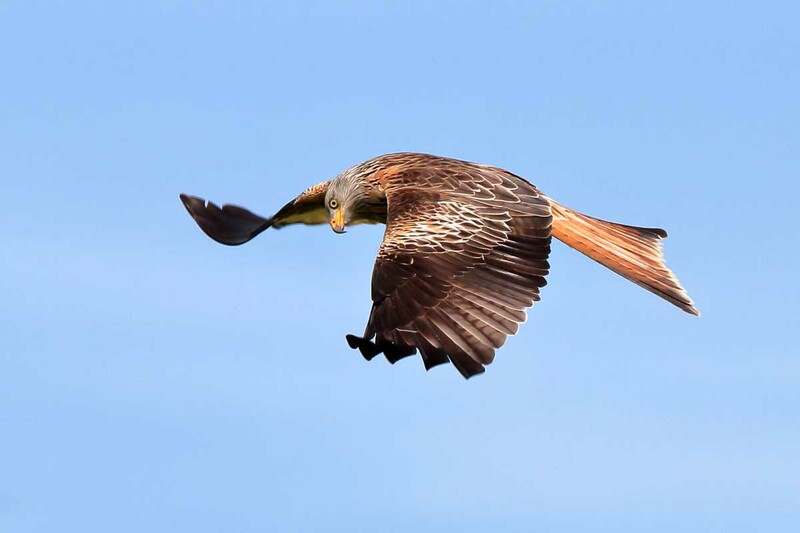 Hawks and eagles these birds of prey have hooked bills, and vary in size from the sparrowhawk up to the white-tailed eagle including Buzzard, Golden eagle, Goshawk, Hen harrier, Honey buzzard, Marsh harrier, Montagu’s harrier and Red kite. Falcons and allies, small to medium-sized birds of prey with tapered wings and tails including Hobby, Kestrel, Merlin and Peregrine and finally the Osprey, a specialised, fish-eating bird of prey, most similar to the buzzards or eagles in general appearance. 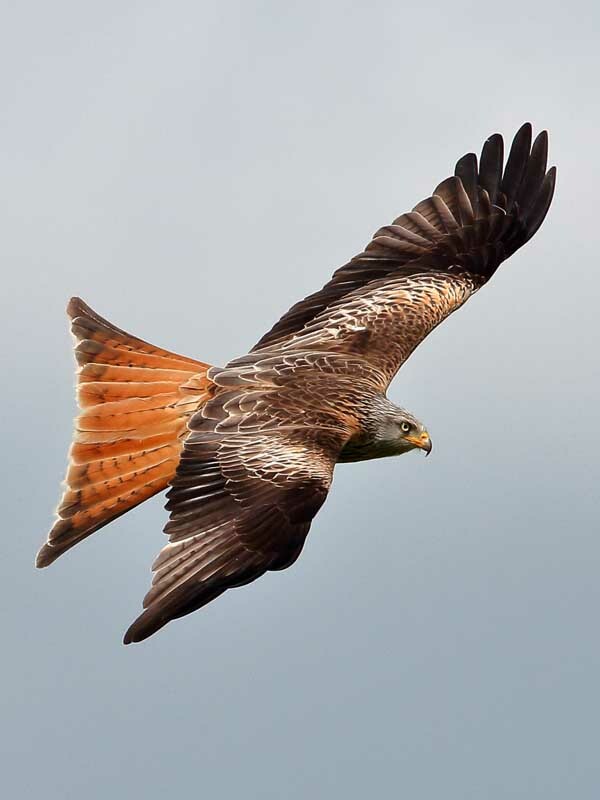 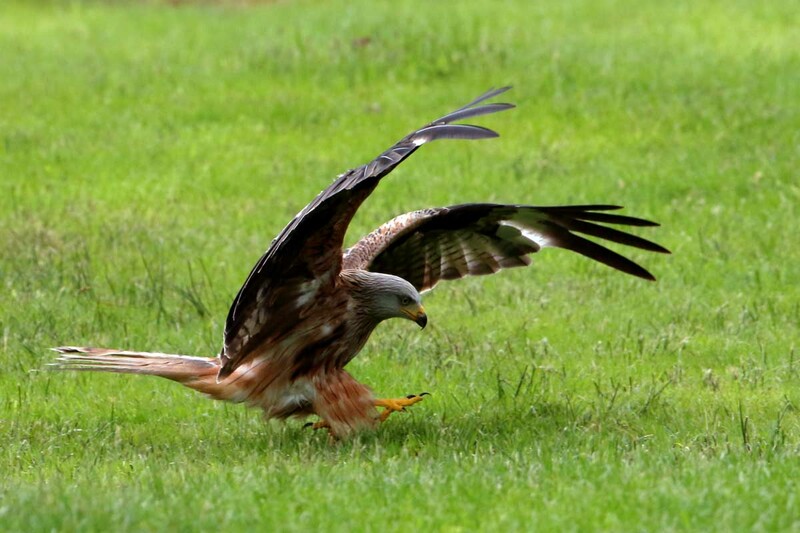 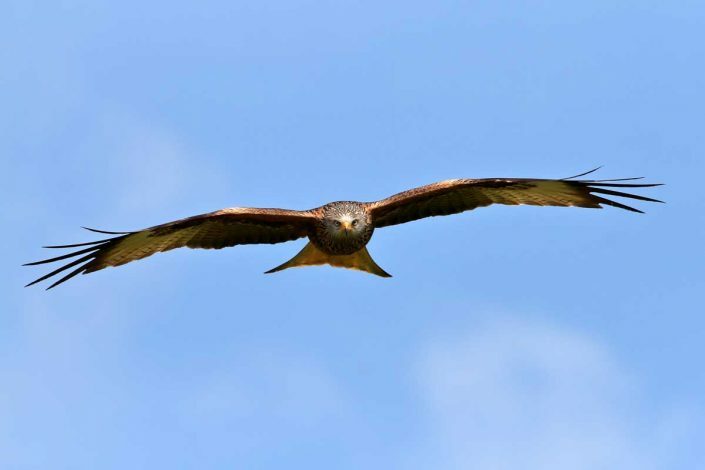 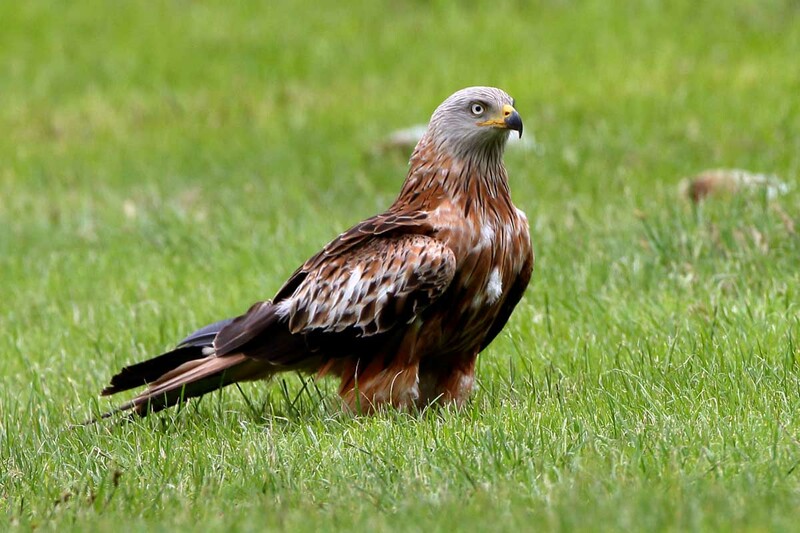 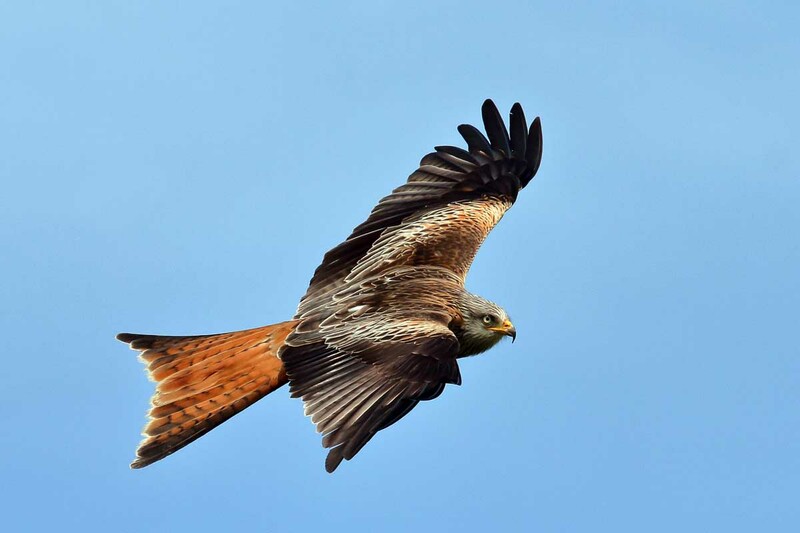 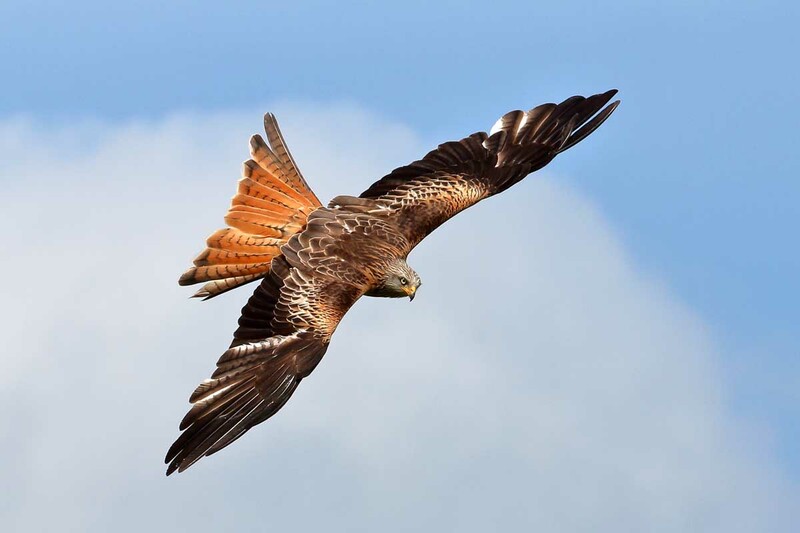 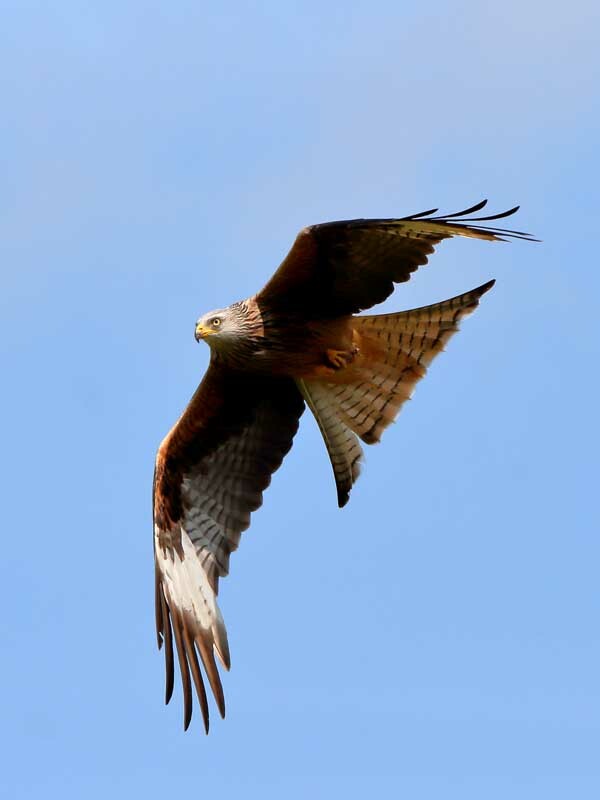 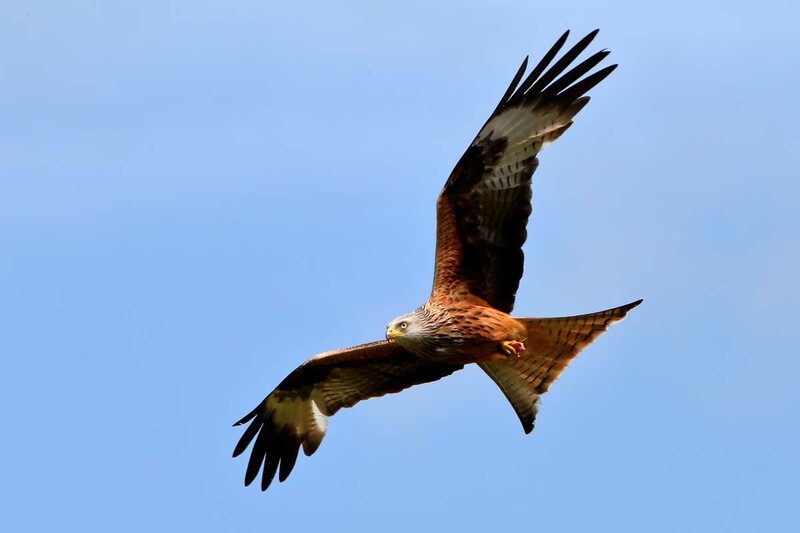 The Red Kite – This magnificently graceful bird of prey is unmistakable with its reddish-brown body, angled wings and deeply forked tail. It was saved from national extinction by one of the world’s longest running protection programmes, and has now been successfully re-introduced to England and Scotland. 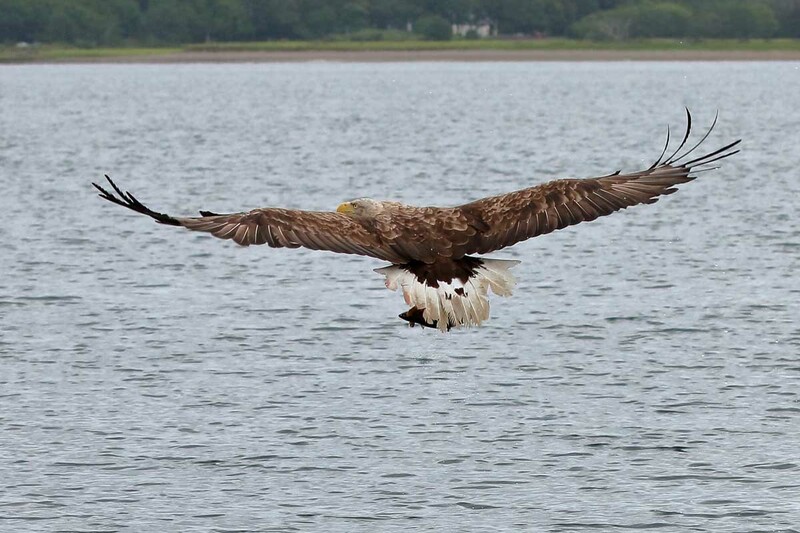 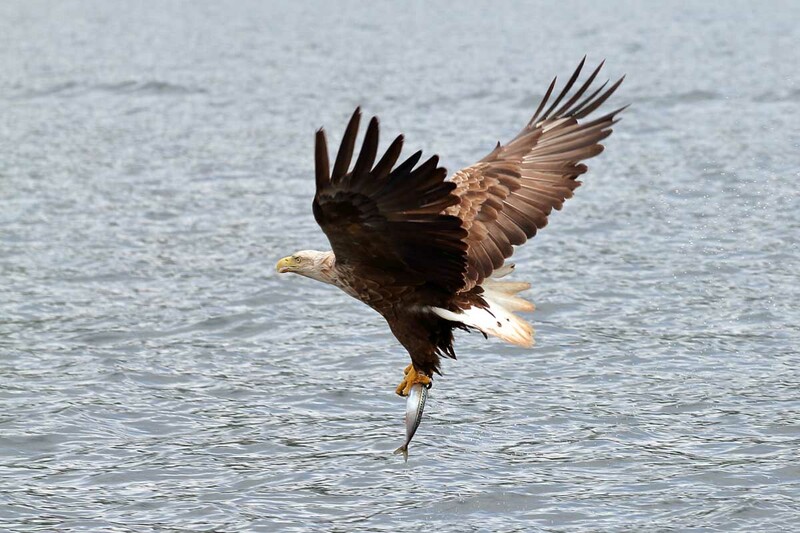 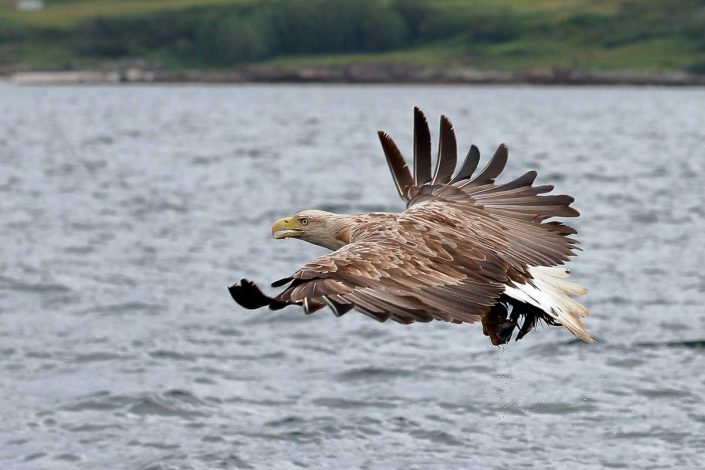 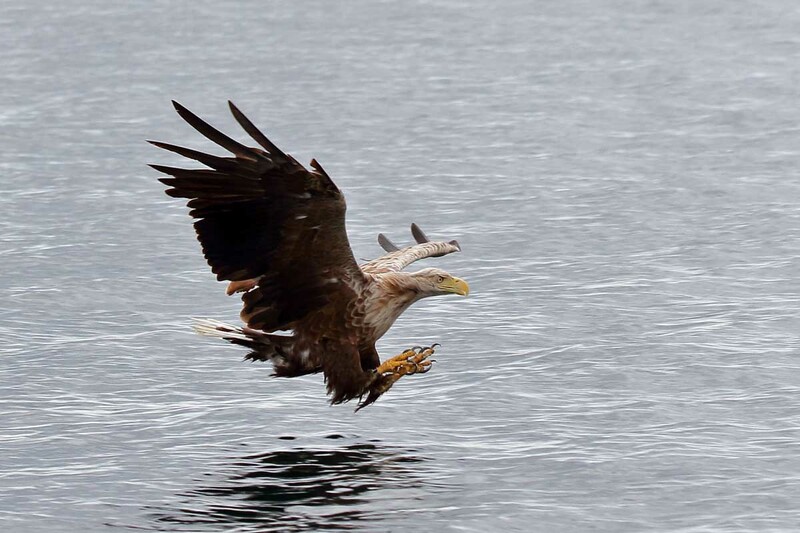 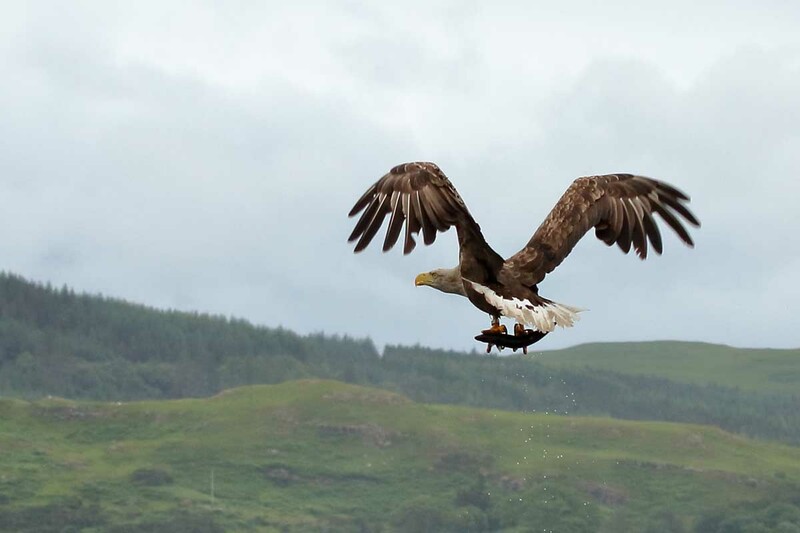 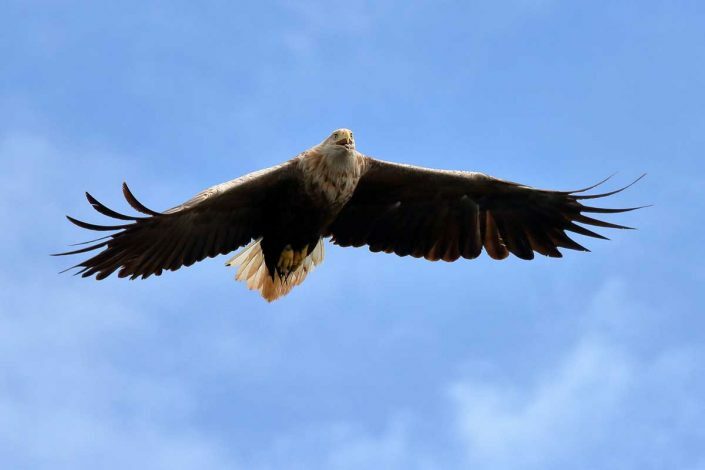 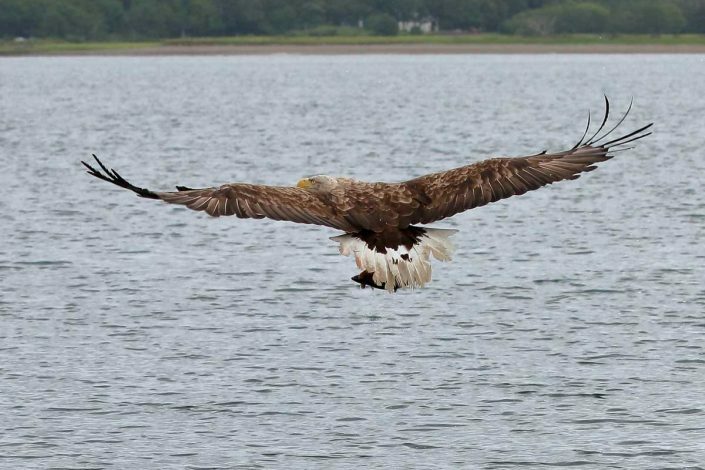 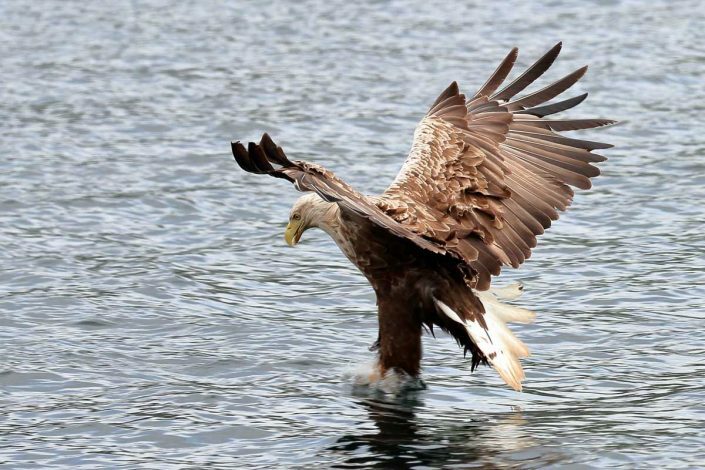 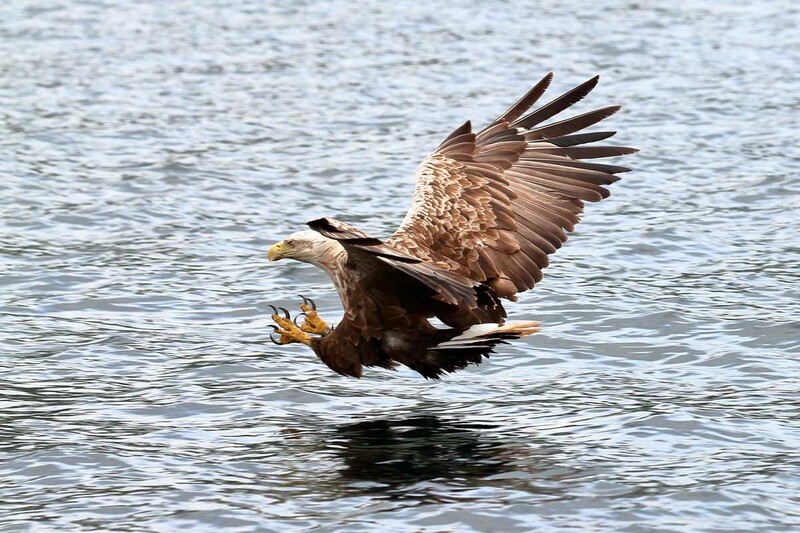 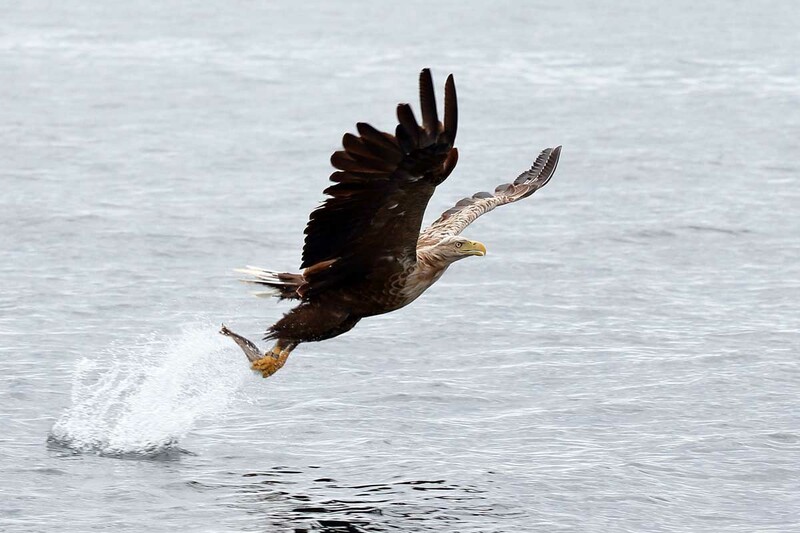 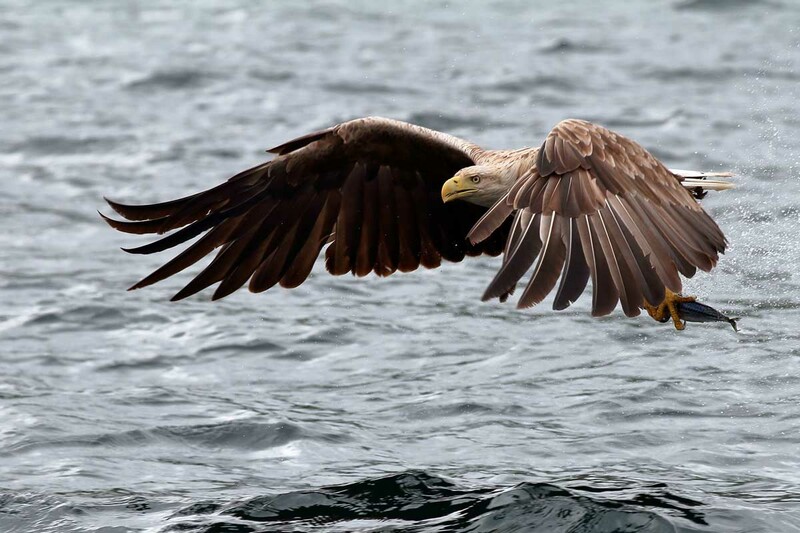 The white-tailed eagle is the largest UK bird of prey, females can have a wingspan of 8ft and weigh up to 15lbs. 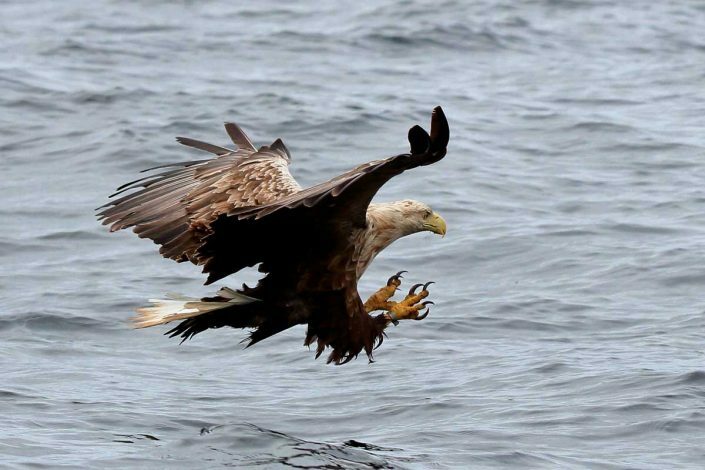 A rare breeding bird which once confined to the west coast of Scotland. 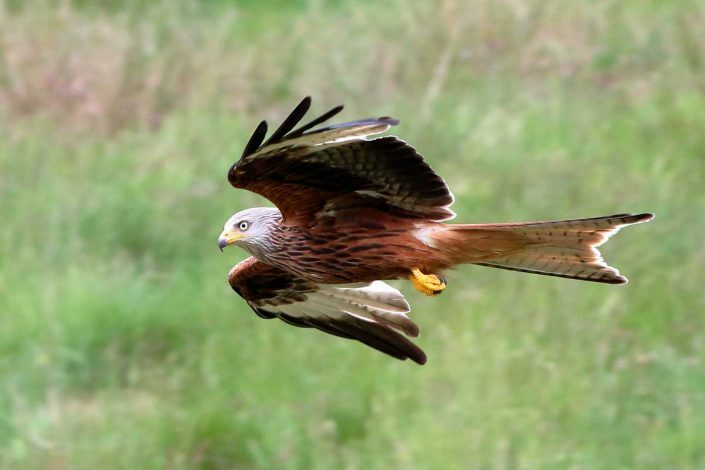 There are expected to be between 37 and 44 breeding pairs in the UK now. 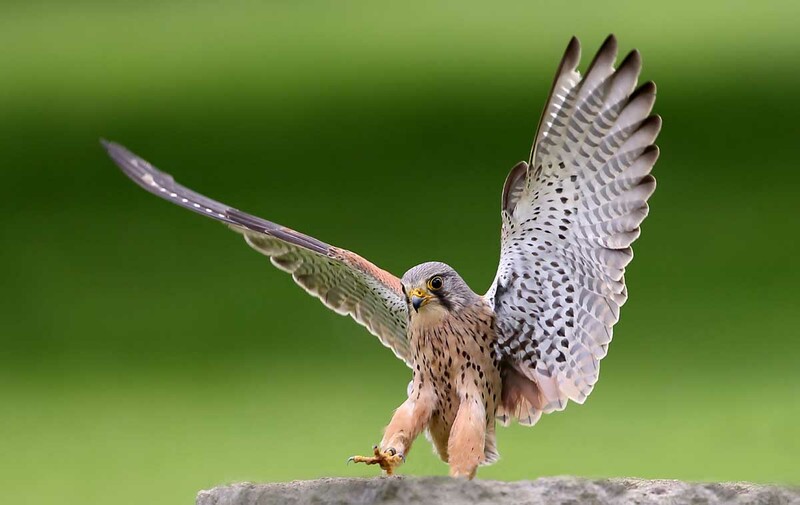 Kestrel – The name kestrel is given to several different members of the falcon genus, Falco. 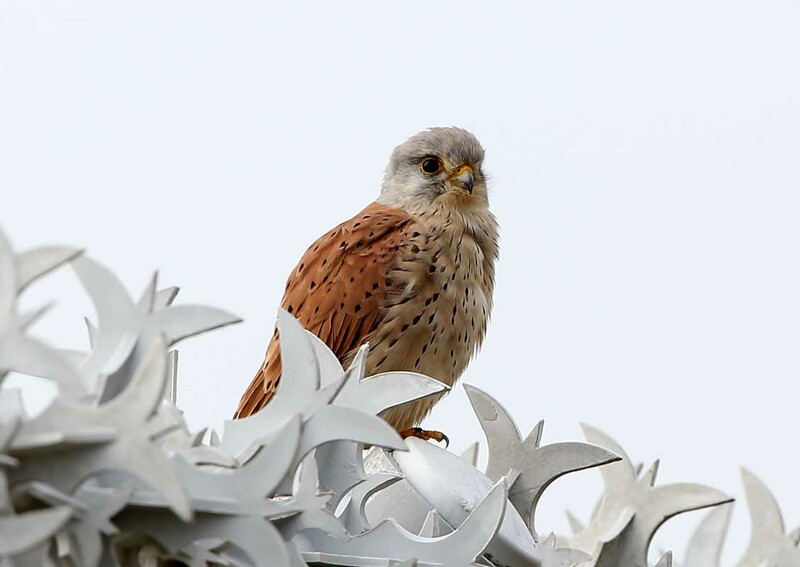 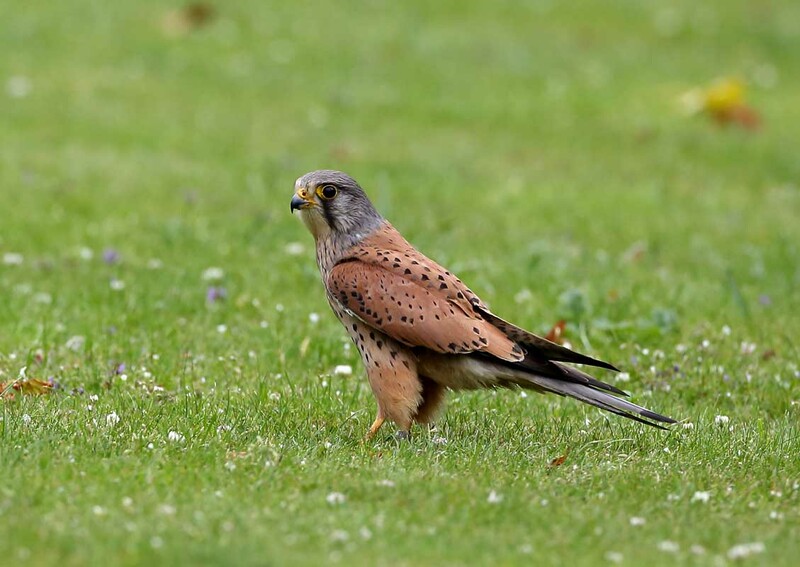 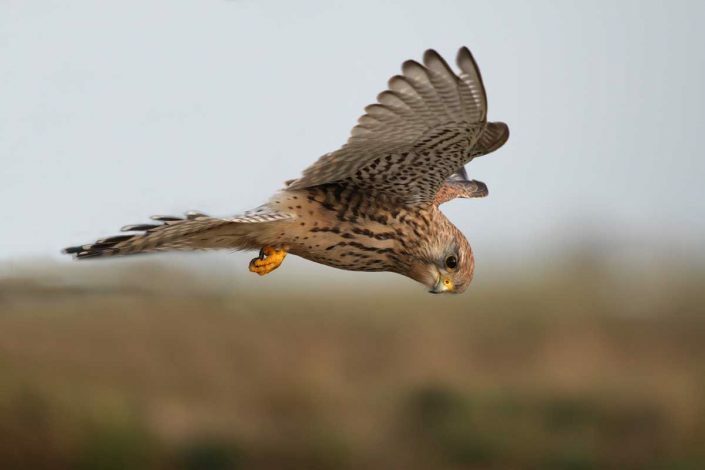 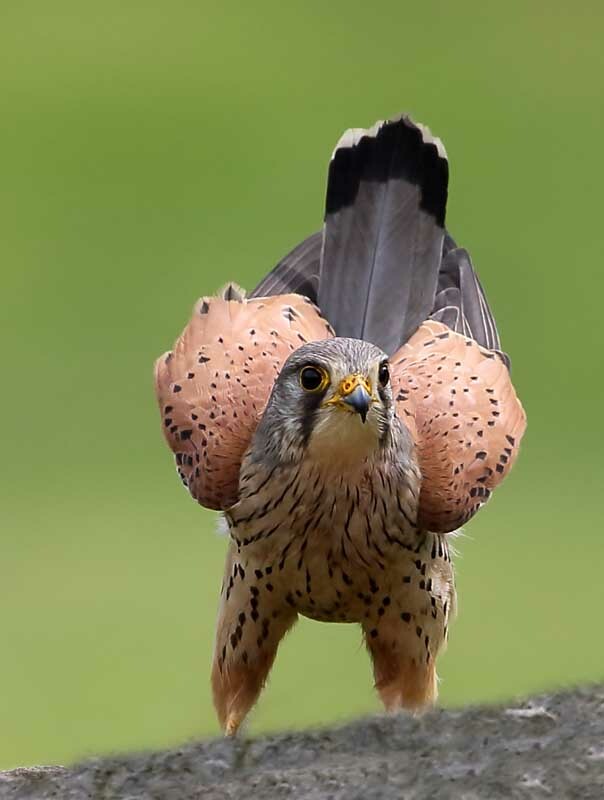 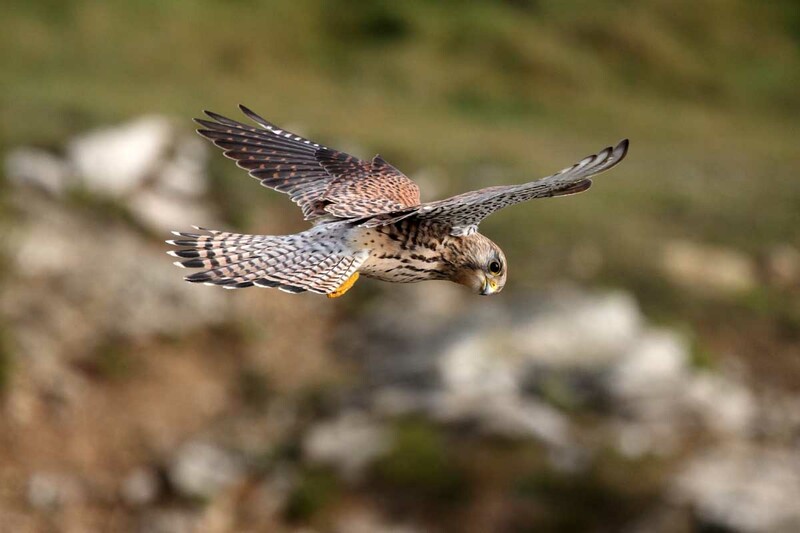 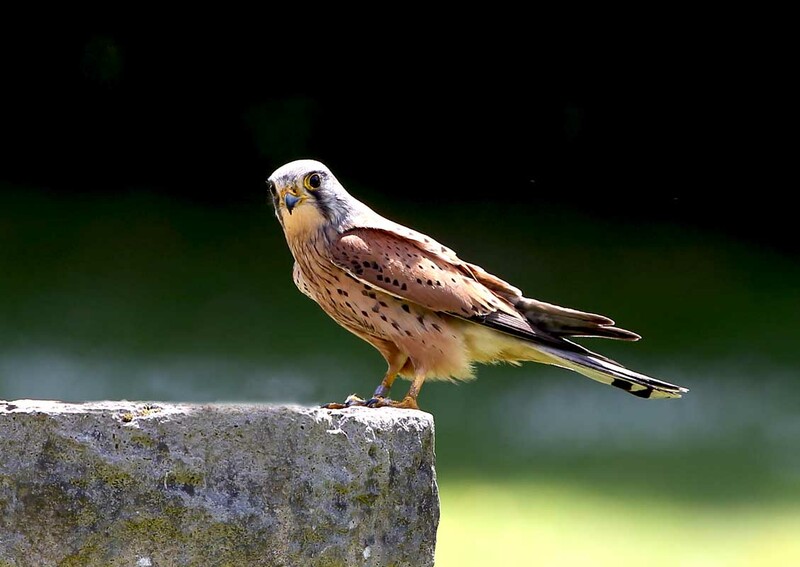 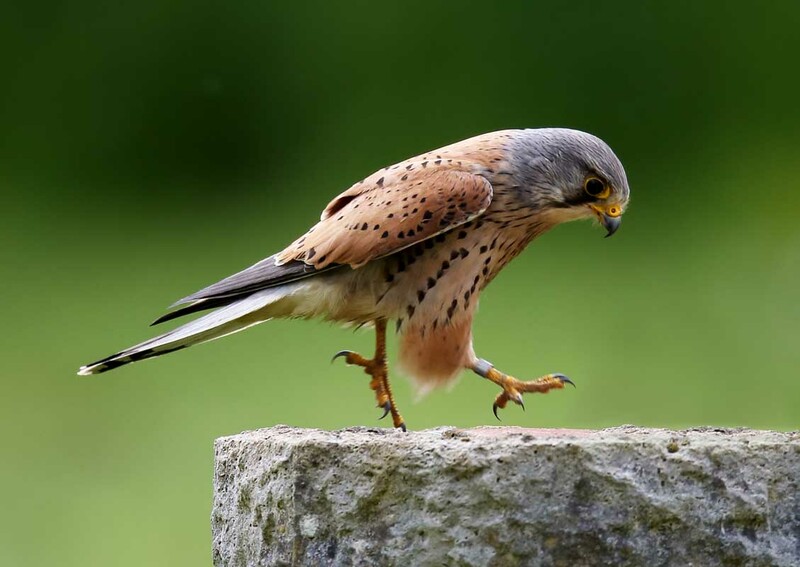 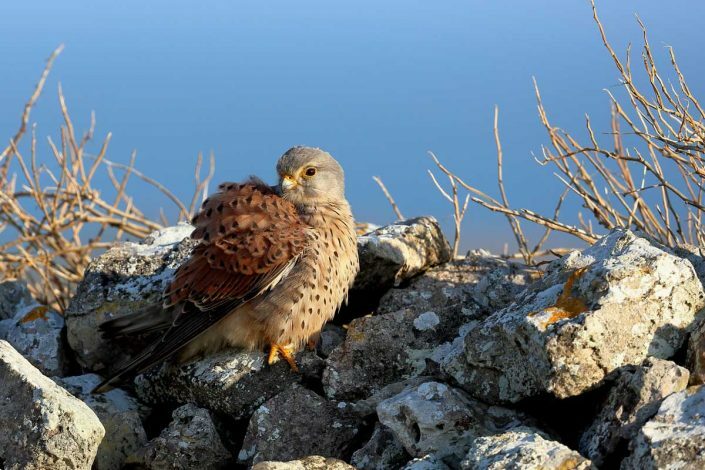 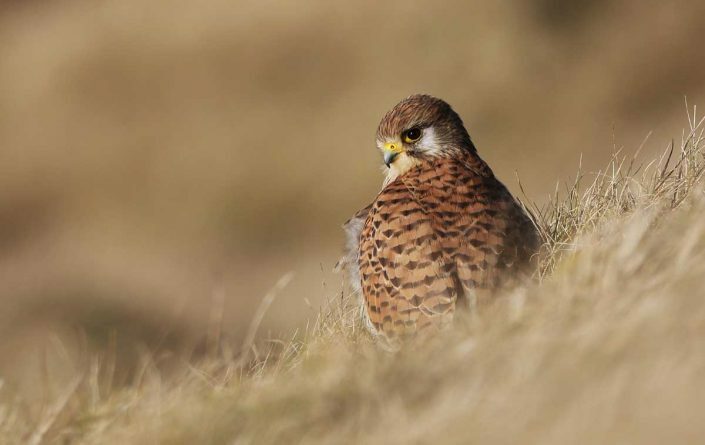 Kestrels are most easily distinguished by their typical hunting behaviour which is to hover at a height of around 10–20 metres over open country and swoop down on prey, usually small mammals, lizards or large insects.